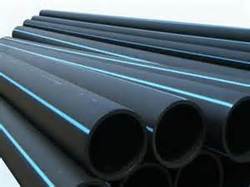 We are reckoned names in the industry, offering wide range of HDPE Pressure Pipes. Established in the year 2015, at Mumbai (Maharashtra, India), we “DHY Trading Corporation” are a Sole Proprietorship Company and highly admired among the noteworthy Traders, Wholesalers and suppliers of the best quality Plastic Pipes, HDPE Pipes, Plastic Ducts, Metal Pipes, Testing Machines, Architectural Panels, Pipe Fittings and Weighing Machines. With the support of “Rajesh Mishra (Proprietor)”, we have been able to accomplish the vast needs and necessities of the patrons. We also impart the best quality Calibration Services to the customers. we sale products under the brand name of DHY Trading.